I boarded the new Corsair Sprint 750 MK II with some trepidation. I’m far from the world’s most experienced multihull sailor and wondered if I’d be up to the task of putting a rocket like the 750 through its paces. I needn’t have worried, though; despite its horsepower, this is a boat that takes care of its crew and can make even a rank neophyte look good as it pours on the speed. 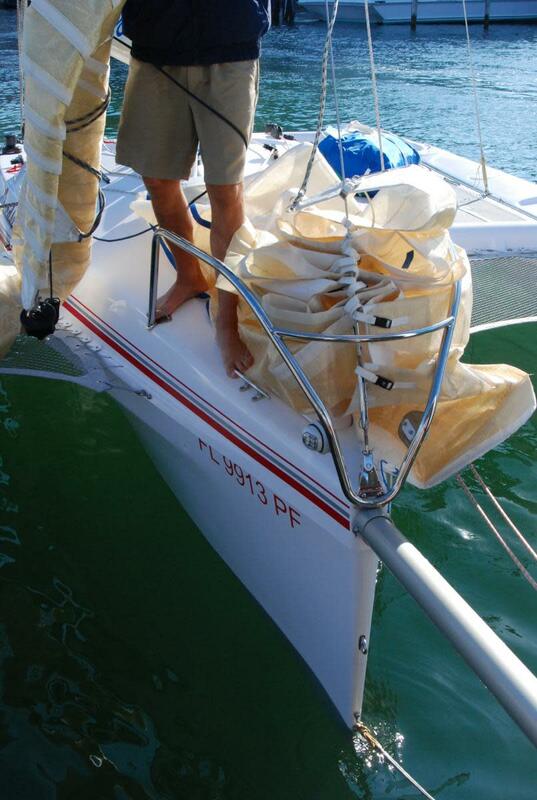 As soon as we’d unfurled the mainsail from the trademark rolling boom, the 750 immediately accelerated forward. Impressive though that was, it paled in comparison to the way the boat lit up 5 minutes later when we unfurled the screecher. The acceleration and exhilaration that comes from this kind of performance afloat is nothing less than incredible. We had neither a speed log nor a GPS on board, but to be perfectly honest, I couldn’t have given a damn—although I estimate we were easily hitting double digits sailing in 14 or so knots of true wind. You don’t need to know how many knots you’re making to have fun on a boat like the 750 MK II. And it was all so easy. Sailing such a boat is much different than sailing a displacement monohull and takes some getting used to. As the apparent wind builds and surges forward, you steer the boat to get up on a plane and then do your best to keep it there, even if it means sacrificing your gybing angles in the interest of VMG, or velocity made good. I’d be the first to admit that I have a ways to go before I can claim to have mastered this kind of sailing. But the 750 makes it tantalizingly easy and leaves you hungering for more. This is no accident: the MK II version of the Sprint combines its predecessor’s expansive, racer-friendly cockpit and powerful rig with the larger, approximately 35 percent more buoyant amas of the more cruiser-oriented Dash 750 to create a hybrid that blennds increased stability with blistering speed. Multihull veteran Steve Marsh of Finish Line yacht sales—my host for the test sail—said he couldn’t get over how much harder he could drive the MK II, even in heavy air and big seas with the A-sail up. Despite such go-fast features as a rotating aluminum wing mast, fiber shrouds, Harken 16 primary winches and hiking straps, this is a boat that can also be daysailed without scaring your passengers. There’s even a double bunk and room for a Porta-Potti if you feel like anchoring out for a night. Like the rest of the Corsair line, the Sprint 750 MK II’s amas fold up easily and the mast can be easily raised and lowered in the interest of trailering—thereby opening the door to regattas and cruising spots nationwide. 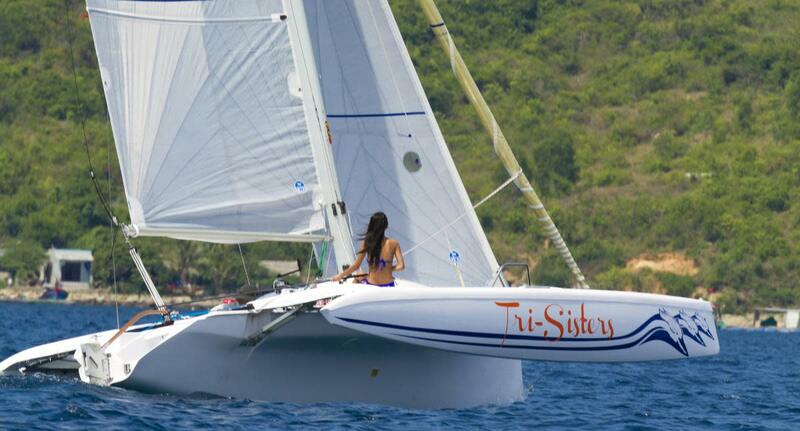 As one monohull sailor to another, if you’re looking for something to spice up your sailing and you like going fast, you owe it to yourself to give this boat a test sail. You’ll never look at sailing the same way again.